View More In Pooper Scoopers & Bags. 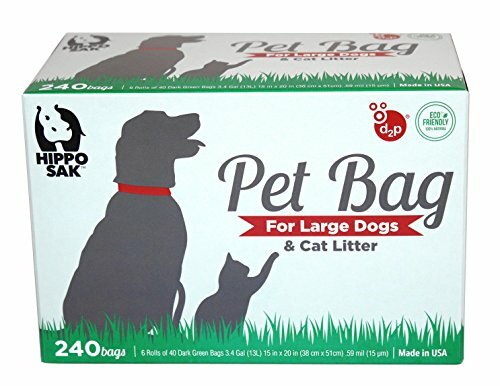 Hippo Sak Pet Bags are perfect for cleaning up after Large Dogs, Doggie Diaper and Pee Pad disposal or Scooping out Cat Litter. They are extra long and wide to hold larger quantities, have a wide opening for scooping and can easily be tied closed. They are odor and leak proof with an 8 layer reinforced bottom seal. These bags are made of 100% recycled materials. Best of all, they are treated with d2p technology which inhibits the growth of bacterial odor. Made in the USA. If you have any questions about this product by Hippo Sak, contact us by completing and submitting the form below. If you are looking for a specif part number, please include it with your message.